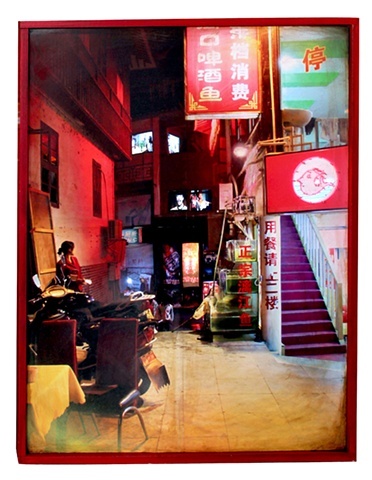 Pantao Alley is made with an image I took in Yangshuo. There are 4 videos, including Fu Manchu clips where he wants to take control of the world (which speaks to present issues), Chinese dragons, fireworks, Chinese vampires, men drinking beer, and a man eating a meal. There is a 3-dimensional room, lit soda machine, and neon-lit fish sign.